What brought you to American Farmland Trust (AFT) and has kept you engaged over the past five years? I don’t have a farm background but I did overseas work for a long time in sustainable agriculture and community-based things was always part of that. Then I began working more in conservation and sustainability. Working in the Chesapeake Bay region at this point in time has been a profound experience. I see it as a challenge of figuring out how we work and play and grow food and live in this area yet still maintain an estuary that actually functions. It is a civilizational problem. It’s all over the world at the mouth of every major river basin. In this region we are at the cutting edge in figuring out how we do this. I’m always struck by the amount of respect that comes with me into the room when I say that I’m with American Farmland Trust. I think our partners see us coming with good ideas, well thought through. Obviously we have a constituency and we advocate for them, but I think that we’re seen as honest brokers, people who are trying to make good policy, good decisions, make good things happen, not just advance our side of things. It’s really critical because farmland touches all of those interests so our partnerships are hugely important. A farmer we work with recently said that AFT is able to rise above the local politics that often derail good ideas because we have a national focus and a long perspective. We want what is best for farmland and farming over all. 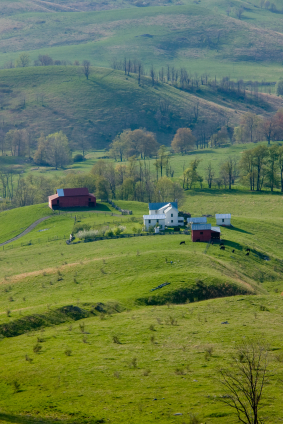 As part of a coalition in Pennsylvania, AFT helped stop cuts for farmland preservation funds proposed by Governor Corbett. Can you expand upon that accomplishment? It was a real victory. State budgets are tight everywhere and you look around and see other states where cuts were made yet Pennsylvania survived. The reason I think we were successful is because AFT has helped to build and support a very strong, broad coalition of farmers, agricultural groups and environmental people who are concerned about water and woods and the environmental side of things. And we all got together behind a Save the Farm coalition. We were well-organized and just had a good campaign. It resonated with Pennsylvanians who have shown their commitment to the idea and to pay to protect farmland for 30 years. We got them to speak up, write letters and make calls. We had a great response in the press. Ultimately the legislators listened and make a strong showing to the governor to say that this isn’t ok.
What are some big challenges AFT has faced in the Mid-Atlantic region over the past year? I think we really need to nail down this issue of having farmland be adequately represented in the solution to this big issue of how do we live on the land in a way that is sustainable? And we need a new look at that because while all the reasons we have identified through the years for why farmland is important are all still true, we also have this heightened concern about water quality. We need to understand what role farmland and farmers plays in this realm and we articulate to people. They need to understand how much agriculture is part of the solution for this issue, too. And so this last year I’ve been working on making the case that farmland is essential for water quality so we can make it part of the policy solution. There are so many uses for land and there are so many more near-term uses that seem more important like housing and transportation, stuff that people have to do on a daily basis. It feels to most people that the food, and the open space and the other benefits are just going to be there and there’s enough land. And we don’t realize how thin that is. That great animation we have about the earth being an apple and how thin, how precious and tiny the part that is farmland and the productive soils that we need are in comparison to the whole earth. What was another great accomplishment of 2012? One of the best things was getting a big acknowledgement for our work from the head of Penn State Extension [Dr. Doug Beegle], who is a renowned agronomist and soil scientist. He has been promoting sensible practices that help farmers meet their business need to be profitable and have good yields by being more precise and efficient in how they use nutrients, which helps clean the water. The approach that AFT uses, which we call the BMP Challenge, allows farmers to try out new practices risk free. They work with an expert person in the field to set up a comparison of this new practice compared to what they’ve been doing. Then if they lose money on the new practice, we promise to pay them the difference. It’s a guarantee that lets them sleep well at night because they know that they can try this thing, they can learn from it, and it’s not going to be a big loss for them economically. Having the head of extension at Penn State say, “I think this approach of AFT, this BMP challenge, is the perfect thing to use to get farmers to try out this soil testing practice,” that was great. What do you think is one of the most important things to note about AFT’s work in the Mid-Atlantic region? The thing that I keep coming back to is that people really need to have a better appreciation for what farmers are really thinking about and what goes into their decisions and how complex and nuanced those are. It’s a technical, complex profession. It’s just wonderful to sit in meetings with these farmers and hear them discuss their decision-making process. They really care about it. Obviously, it’s their livelihood but they’re working with nature every day and it’s complex. One of the things that I try to do is to get farmers in front of non-farmers and have them hear that. It’s a highly technical and sophisticated knowledge-based career and it’s risky. You have got to be out there making decisions and spending money and going out on a limb for the whole year, and it’s only when you harvest that yield that you get your paycheck. You have so little control over most of what is important, which is rainfall and temperature. Whew, talk about living life on the edge! About the Author: Jim Baird is Mid-Atlantic Director for the American Farmland Trust where he works to help maintain viable farms and clean water through the adoption of nutrient-related conservation practices and ensuring that farmer concerns are reflected in policy and program discussions. This entry was posted in Conservation, Farmland Protection, Water Quality and tagged clean water, farmland, Farmland Protection, Water Quality on December 20, 2012 by admin. The Mid-Atlantic region is blessed with agricultural diversity, producing an array of food, fuel and fiber from Delaware to Virginia. The past year has been filled with both challenges and opportunities for farms and farmers. Inclement weather throughout much of growing season tested the patience of farmers across the region. State budget concerns brought discussions of conservation to the forefront, at times challenging critical efforts to protect farmland. This year, we honored Robert Ambrose of Ridgeview Acres Farm with the Pennsylvania Farmland Preservation Local Heroes Award. The award recognizes his outstanding efforts to protect the farms, natural resources and waters of the commonwealth. Ambrose, who runs a 130-acre cut-flower farm with his wife Sally, has served as the chairman of the Westmoreland County Agricultural Land Preservation Board since 2001, which has preserved more than 10,960 acres of productive farmland. Kevin Craun, who farms in the Shenandoah Valley area of Virginia, is just one of many farmers working with American Farmland Trust to reduce fertilizer use and protect clean water. Craun has been working with us by experimenting with alternative soil sampling. This method guides his final fertilizer application, closely matching the crop’s need. By sampling so accurately, Craun and other farmers are reducing their fertilizer use—saving money and protecting their crop yields while helping the environment. Through our Mid-Atlantic Clean Water Initiative to help farmers improve their conservation practices, we reached out to farmers and their crop advisors in Maryland, Virginia and Pennsylvania to test effective practices that reduce fertilizer applications while maintaining crop yields. By working with farmers in the field and at the policy level, we made progress in reducing the amount of fertilizer flowing off farm fields and into waterways. At the state level in Maryland, we galvanized the support of farmland advocates to ask the Maryland General Assembly to reject proposals that would negatively impact land conservation programs. As the Maryland General Session gets underway in January, we’ll need everyone who supports Program Openspace funding that protects farm and forest land and supports parks and recreation to make their voices heard. As the calendar page turns to 2012, we look forward to more chances to work with our partners throughout the region to protect farmland, improve water quality and ensure a viable future for farms and farmers throughout the Mid-Atlantic. We will continue to do our best to turn the many challenges we face into opportunities by doing good work for agriculture in the region. We hope you stay tuned and keep in touch. This entry was posted in Chesapeake Bay, Conservation, Maryland, Pennsylvania, Virginia, Water Quality and tagged BMP Challenge, Chesapeake Bay, clean water, Delaware, Farmland Protection, Maryland, Pennsylvania, Virginia, Water Quality on December 8, 2011 by Jim Baird. Proposals for the next farm bill are rolling out across the country. This week, American Farmland Trust released our recommendations for the 2012 Farm Bill. Additionally, Rep. Earl Blumenauer (D-OR) premiered his proposal for the next farm bill. At 48 years old, Penny Jordan returned to her family’s farm in Maine, diversifying farm products and projects. She is not alone among the next generation of farmers seeking to address the projected 400,000 acres slated to change hands in the state over the next decade. Maine Farmland Trust recently released a guide to help individuals and communities address the concerns over land transition. Students at Colby College in Maine have created a new resource for getting local fresh produce from within the New England area. Their program is based entirely online. Farmers and ranchers in the American Southwest are finding new ways to nourish their animals and keep their crops alive under worsening drought conditions. Where in some cases, a hay shortage is the biggest challenge, others are working tirelessly to bring in water. The 2011 National Resources Inventory conservation Effects Assessment Project survey is underway through the USDA’s National Agricultural Statistics Service. The program will be visiting farmers throughout the country from November 2011 to February 2012, seeking to capture the effectiveness of on-farm projects and programs working to protect water, air, and soil quality, including work in the Chesapeake Bay. . In fact, a recent study released by The Johns Hopkins University and the University of Maryland Center for Environmental Science showed that efforts to reduce runoff from agriculture into the Chesapeake Bay appear to be boosting the Bay’s health. This entry was posted in Conservation, farm bill, In the News, Water Quality and tagged Blumenauer, Chesapeake Bay, clean water, drought, farm bill, farm policy, Maine Farmland Trust on November 4, 2011 by admin. Note: John Stierna recently received the prestigious Norman A. Berg Conservation Legacy Award, given by the National Capital Chapter of the Soil and Water Conservation Society (SWCS) to individuals who have made outstanding contributions in advocating the conservation of soil, water and related natural resources, and whose service and accomplishments have made widely recognized contributions to the development of leading edge technologies that serve conservation at any geographic area, while working in the Washington, D.C., area. As a boy, I always loved my family’s farm: the outdoors, the fields of hay and oats, the woods, and the gentle stream that flowed across the farm and emptied into Grave Lake in Minnesota’s Itasca County. The farm work, while strenuous, was still fun to a lad in his teens. We were fortunate. We never had the dust storms they had out in the west. Nor did we have very much visible sheet or rill erosion since many fields were planted to alfalfa or clover. Even the oats or wheat helped provide ground cover after sprouting—thus reducing the impact of rain. However, the manure from our dairy cattle clearly provided a risk of runoff that could have adverse effects on the stream and the lake. I started to get the feeling that we could do something more to protect the stream and lake, but I also felt that any effect from our one farm would be minimal since few other working farms were in our immediate area. After college and graduate school, I became engaged in private sector research and then water policy for the National Water Commission – work that me closer to policy aspects of both water quality and water quantity. When I joined the USDA’s Natural Resources Conservation Service (formerly the Soil Conservation Service) I quickly realized that the collective impact of millions of farms on the environment would be substantial over the longer term, yet any adoption of conservation practices would be on a much more localized basis—farm by farm. 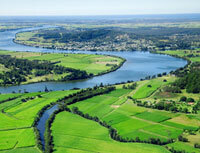 A real need existed to have tools to influence private landusers to adopt measures that could protect the land and waters on site and those beyond the farm boundaries. The economic evaluations often showed the need for some incentives to offset costs to help producers install suitable conservation systems. Over the years, I was able to become more and more engaged in policy analysis that has helped bring forward some of the conservation policies and programs to make that happen. From early work on the Resources Conservation Act activity when Norm Berg was Chief of the old SCS, to later work on the Conservation Reserve Program, the Environmental Quality Incentives Program, and the Conservation Security Program and the conservation title of several Farm Bills— these efforts all added to the suite of programs that can assist farmers and ranchers in addressing resource concerns on their farms and better protect the landscape. Wow. This was a far cry different than the ideas I had as a lad on the farm. But sometimes it takes many years to evolve thought and concerns into workable policies and programs. Persistence over time is something that both Norm Berg and I have shared during our careers. Norm, who played a critical role in the beginning of agricultural conservation in the United States, was a committed conservationist throughout his life. I feel honored to have worked with such a distinguished professional as Norm. This entry was posted in Agriculture and Environment, Conservation, farm bill, Farmland Protection, Federal Policy, Water Quality and tagged clean water, conservation, farm bill, farm policy, farming on August 19, 2011 by John Stierna. Each year, the world comes together to recognize the importance of our fresh water by commemorating World Water Day. This year’s theme, “Water for Cities,” highlights the pressures that development places on our resources, a concern that is certainly familiar to farm fields in the United States. A significant amount of our best farm and ranch land is near expanding cities where it’s threatened by sprawling development. Once this productive land is gone, it can’t be brought back. The ripple effect is tremendous and the impact stretches from our rural landscapes to our most populated city centers. When farmland is lost to sprawl and paved surfaces, we also lose the role it can play in helping protect water quality. Well-managed farm and ranch lands protect wetlands and watersheds, can help absorb and filter wastewater, and provide groundwater recharge. That’s why we work with farmers across the United States to help them implement management practices that can improve water quality. These Best Management Practices, or BMPs, offer farm-friendly solutions to encourage better land management that, in turn, helps to protect and improve water quality. By enrolling in our BMP Challenge program, corn farmers have implemented practices that reduce tillage and the amount of fertilizers used on a portion of acres in their farm. Through direct involvement with the BMP Challenge program, participating farmers have implemented improved practices on nearly 18,000 acres across the country. This has resulted in more than 430,000 pounds of fertilizer and sediment prevented from running off into rivers and streams! Furthermore, farmers indicate that they are implementing the practices on additional acres in their farm operation after participating in the BMP Challenge program. These efforts are helping to provide even more environmental benefit to our rivers and streams. World Water Day is an opportunity to celebrate the great strides we have made and we’ll continue our work toward improving water quality each and every day. We recently signed on to the Charting New Waters pledge to protect clean water and with your help, we can reach our goal for 54,000 households making their own commitment to improve water quality. About the Author: Brian Brandt is Director, Agriculture Conservation Innovations Center at American Farmland Trust. This entry was posted in In the News, Water Quality and tagged BMP Challenge, clean water, environment, nutrient management, World Water Day on March 22, 2011 by Brian Brandt.